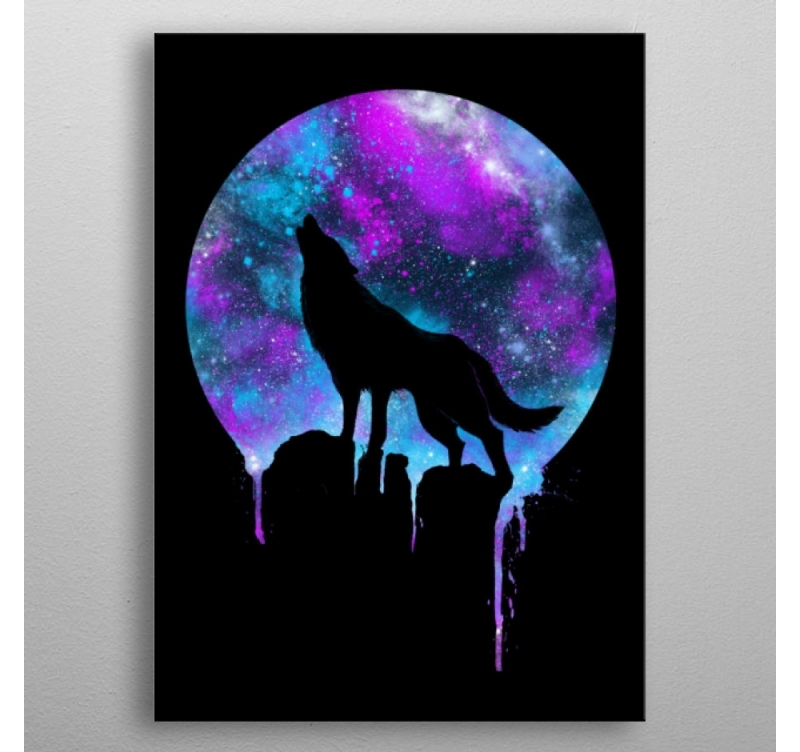 A moonlit wolf for a unique wall poster. 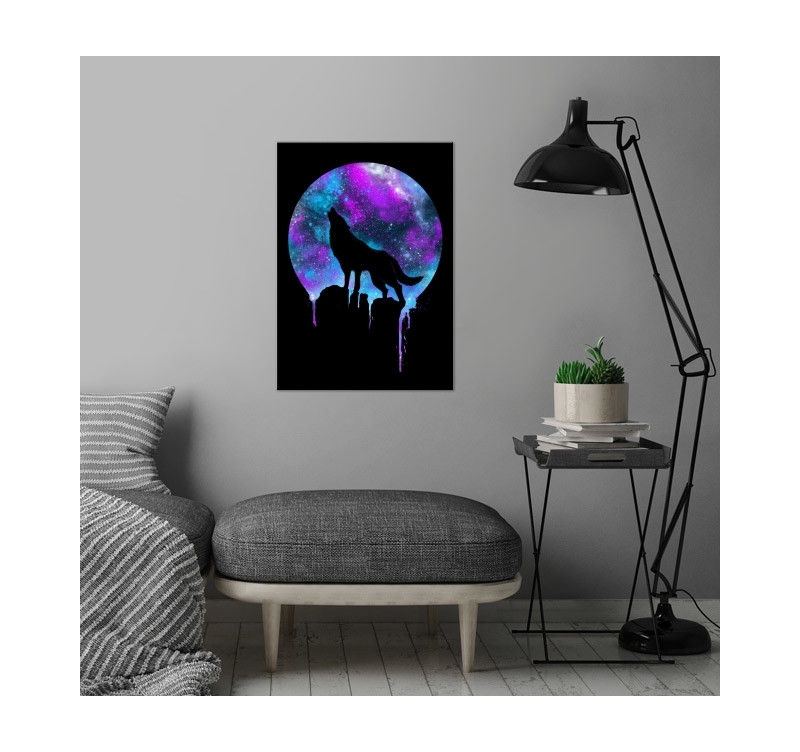 This design poster is made on metal to have a brilliant wall decoration and quality. 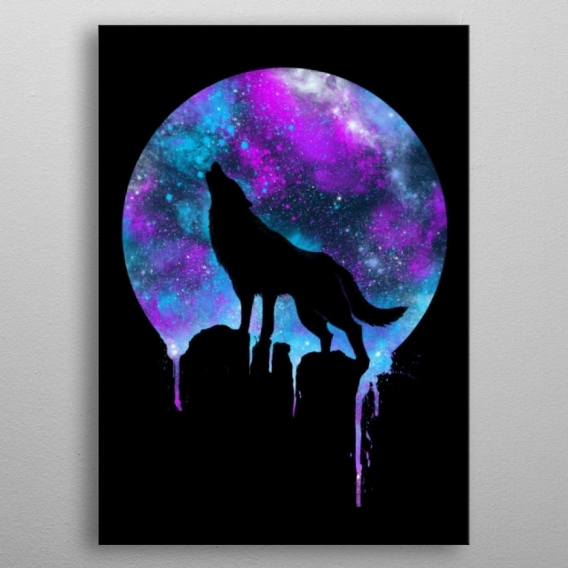 The dimensions of this wolf metal poster are 48 x 67.5 cm. Delivery around the world for this metal frame. One of the wildest and most beautiful animals in the world is found in a wall poster design. 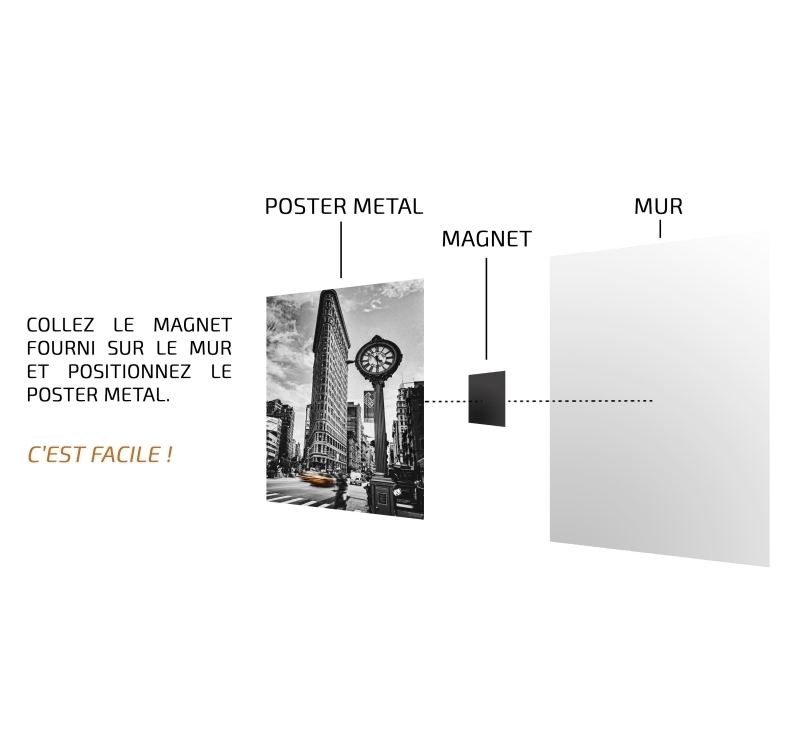 Metal-based printing gives you a bright, stylish wall design that will enhance any of your walls. With a pastel effect and fluorescent colors, the moon is voluntarily bigger to give you an impression of infinity ... 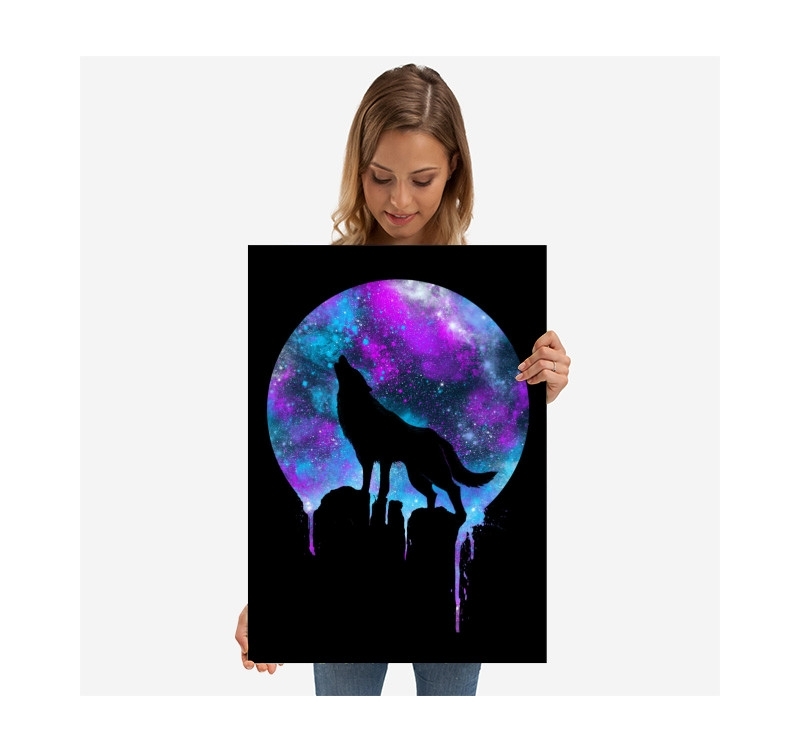 The wolf is made in the continuity of the black background and fits perfectly in the center of the frame with its roar to gather the pack. 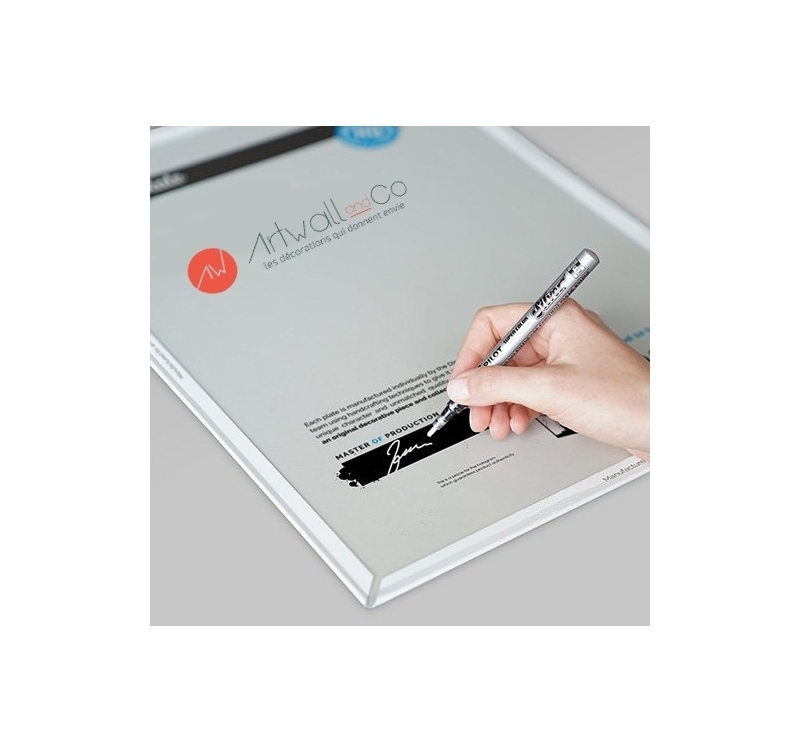 This metal wall poster is signed and authenticated by our production manager with signature and hologram. For any purchase of this frame, a system of hooks without holes and screws is provided for a simplified installation.